Hold onto your buns…it’s back! I am SO excited as it has been announced that one of my favourite ever TV shows will be back on our screens from 8pm next Tuesday, 20th August! 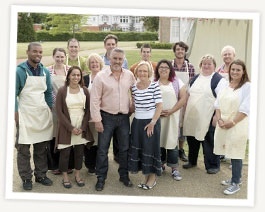 That’s right guys and dolls, The Great British Bake Off is BACK!!! 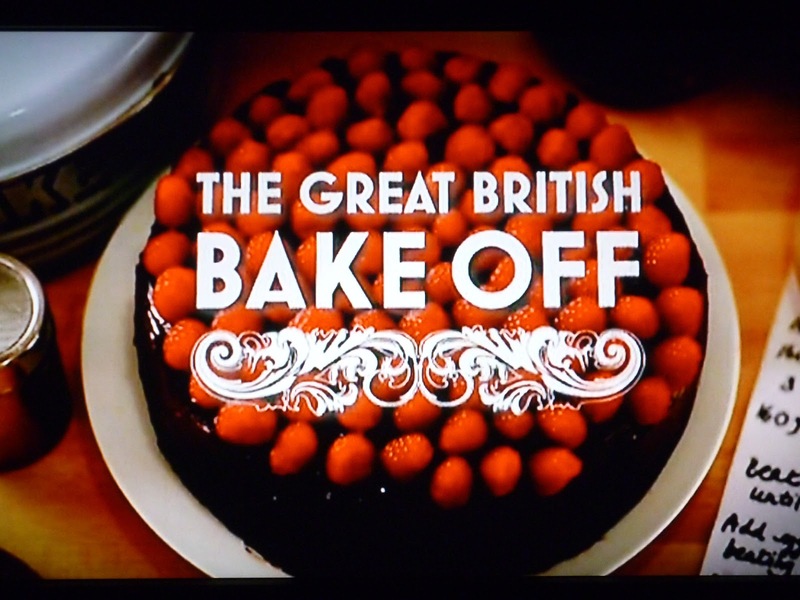 I love having a series to watch and look forward to each week, and Bake Off is one of the best as it combines competition, contestants and, you guessed it, CAKE! I’ve loved watching all 3 series so far and think they’ve got better and better with each one! It’s so fun to watch the characters of the bakers come out, see how well they face the challenges and what beautiful creations – or utter catastrophes – occur! Queen of Tarts, Mary Berry is an absolute treat, I love her kind critiques, and also seeing how she gets younger looking and more glamorous with each episode (remember her to-die-for flowery bomber jacket in series 3?! Covet.com!) 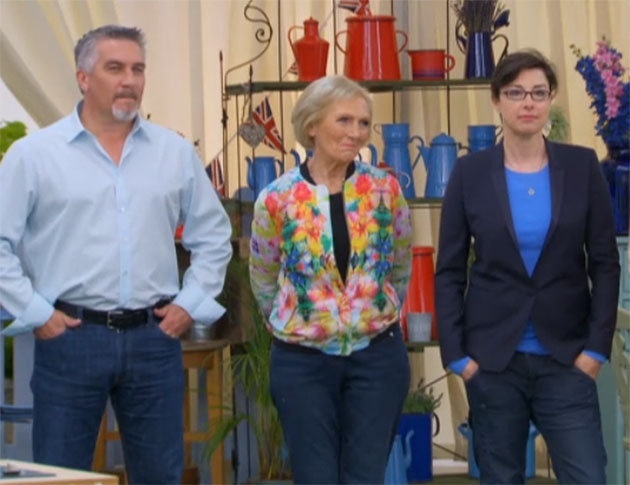 Who doesn’t love hearing Paul Hollywood’s withering putdowns?! Enough to give anyone a soggy bottom! 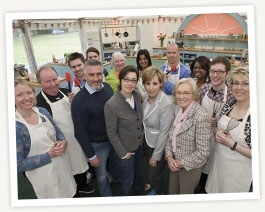 And Mel and Sue are the hostesses with mostesses (! 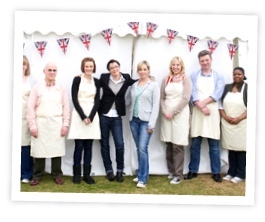 ), always coming out with hilarious innuendos and delivering fun facts about the history of baking! 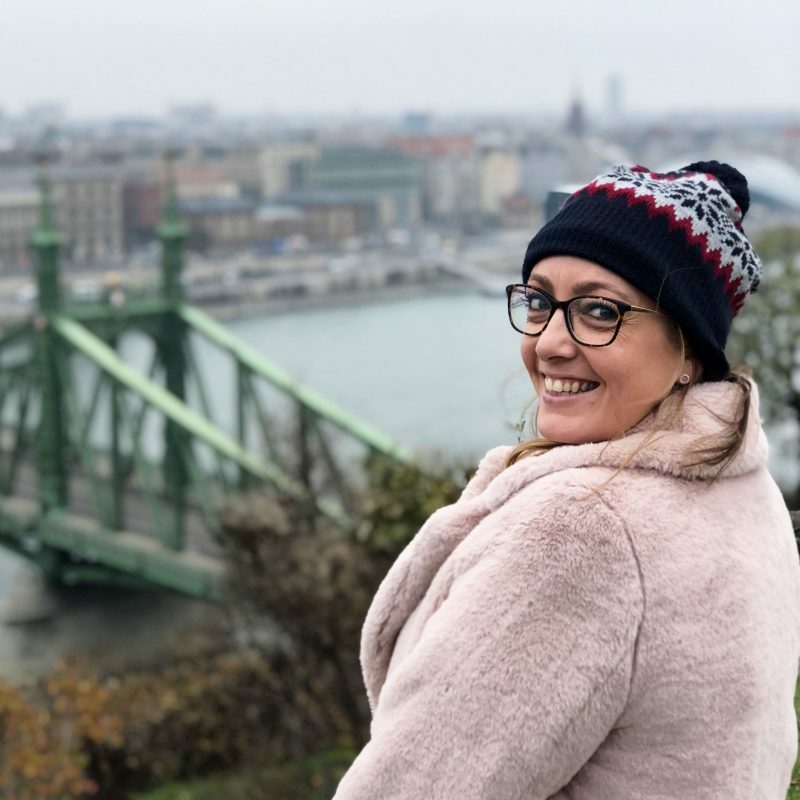 The fab Jasminder giving everything a creative personal twist, such as Mars Bar pain au chocolat and popping candy in EVERYTHING! Lovely Miranda’s gorgeously iced ladylike biscuits and David’s incredibly decorated black forest gateau, laden with gold leaf leaves and chocolate toadstool decorations to look like a real forrest floor! Such a fab idea! Gorgeous Rob being like a cat with nine lives and managing to escape elimination even when he dropped his showstopper cake on the floor! Mary-Anne’s unfortunate moment when she iced her Sacher torte with the name of her daughter, Sasha, by mistake! The incedible Holly being absolutely amazing every week, but being pipped to the post by lovely Jo who took the crown in a nail biting final! My fave series by far – so many great contestants! John and his ridiculously amazing gingerbread Colosseum; Brendan and his 70’s tarts and kitsch bird house; James and his creative bakes and natty knitwear; and my absolute favourite Catherine wailing “I’m not serving Mary Berry green carpet!”, having accidentally tossed her bread dough over her head and on to the floor! 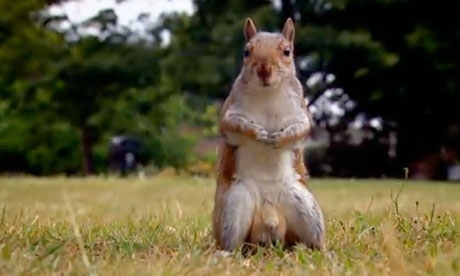 Oh I can’t wait for Season 4 to see all the new bakers, the challenges they’re set and of course, the return of the famous GBBO Squirrel! I love baking and have really got into it in the past year, largely due to the show. I was thinking that this year each week I would try to create something along side the theme of each show, and share it here on my blog. Fingers crossed I’m up to the challenge! Now I can’t promise they’ll all be quite so spectacular as this (! ), but I’d thought I’d share a cake I made a couple of months ago to get us all in the Bake Off mood. I made it for my friend Emily’s leaving party, when she moved back to Oz. The weekend before we’d had a big girls weekend away to a little cottage in the countryside with a hot tub, so when I found the recipe for this Pigs in a Mudbath Hot Tub cake I knew it was perfect! My Mary Berry Showstopper cake! 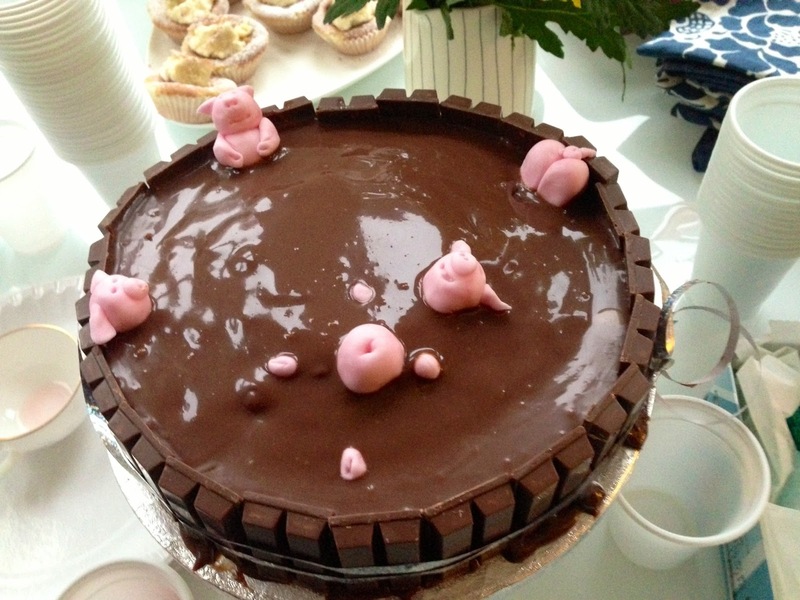 Vanilla sponge with chocolate ganache topping, Kit Kat edges and pink Royal Icing piggies! Watch this space for more (hopefully) delicious delights coming soon! Are you a baking fan? 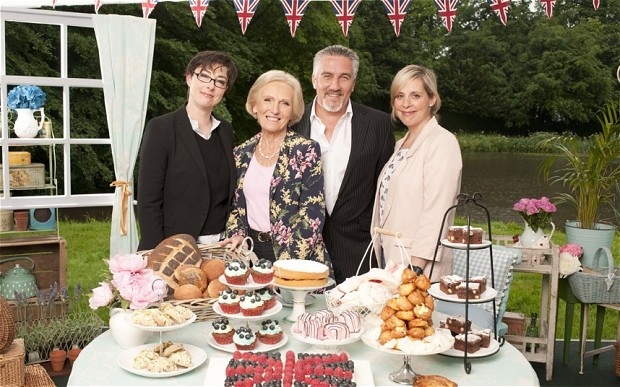 Will you be watching The Great British Bake Off?